The Alabama chapter of AMGRASS was invited over to a local dealer, Big #1, to give a demonstration of Gymkhana. Do to limited parking lot space a GP8 course was laid out. Fun times were had, some lies got told, hamburgers and hot dogs got ate, and a few cones were killed. Practice makes a better rider. Just a impromptu get together on a warm spring night. The last rider in the video, on the red Duc, that was his first time ever to kill a kone. He is ready for a full gymkhana now. The New york Times called this youtube video a "MUST SEE FOR ALL MOTORCYCLIST"
Don't Duck walk your motorcycle! 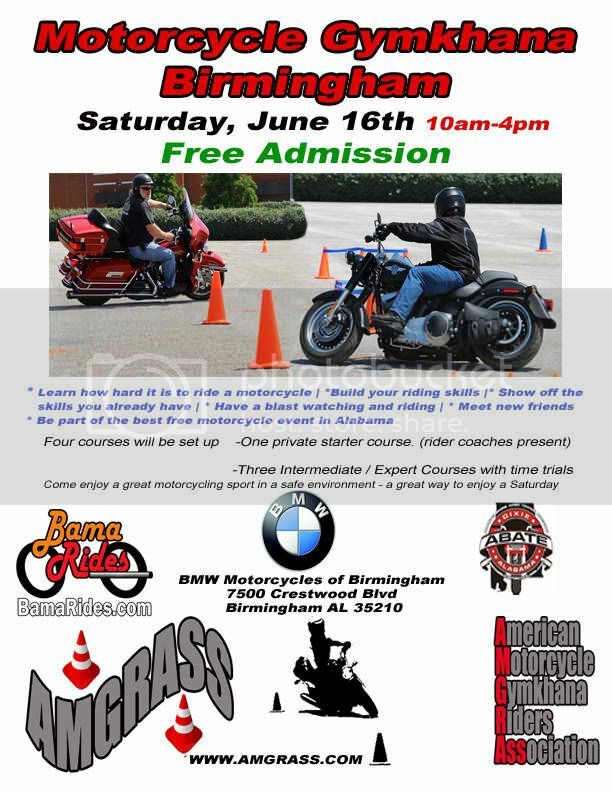 Make Steven proud, come on out to Gymhkana June 16 in Birmingham. Back again! Let's kill us some cones!